Random House Books for Young Readers, 9781984851956, 96pp. 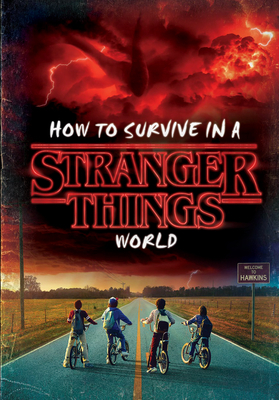 A hardcover gift book featuring wisdom and advice from Netflix's hit series Stranger Things! Does life sometimes seem strange and little upside down? If so, this hardcover collection of wisdom and warnings from Netflix's original series Stranger Things can help guide you through school, friendships, and your town's darkest secrets. Featuring full-color images from the series and quotes from Dustin, Steve, Eleven, and the others, it is sure to thrill fans of all ages.